Now that the clocks have gone forward, and even though as I write this Cambridge is wet and miserable, I really do feel like its springtime. The change of season marks the time for the big annual clean, and while this tends to be a task that starts with high hopes and ends in tears, there can be some fun ways to carry out the tradition. Spring cleaning is good opportunity to think about small ways you can keep your home feeling a little more orgainsed and tidy all year round. If you’re not quite ready to tackle the big jobs yet, take a look at some of these little ways to improve your home. If like me you don’t have much surface space in your kitchen, it’s a chance to utilise your walls and even create a feature out of some pretty shelving. These Sienna Shelves from Anthropologie have a great, simple style to them making them adaptable to all kinds of kitchens. Keep the tiered look or use two of the same sizes as a handy storage space for spices, utensils or any cooking items that need to be within reach at all times. By de-cluttering your surfaces, your kitchen space will not only look better but will make every day cleaning a much simpler task; plus with the addition of a little plant or an ornate accessory on the shelf, you can create a beautiful feature in your kitchen. I’ve never been one for having my spices on display, mainly because the lack room, but also because more often than not, the bottles they come in are rather unsightly. Over the top branding and big font titles can ruin a beautifully thought-out kitchen, so people often opt for hiding the spices away. If you don’t have much storage space, or want to try something different, finding fun replacements for your branded spice jars can be a stylish solution. Something like a range of these adorable little bottles from The Recycled Glassware Company. They are the perfect size for spices, and come in a range of shapes to help you organise (one shape for one cuisine for example), all you need is to add a label and you’ve created a colourful and elegant feature for your shelving. If you really can’t avoid using your surfaces, make sure that you put your items into something pretty. You can find a whole range of antique and vintage utensil pots on eBay or Etsy these days, but if you want to go for something more modern, there are some lovely designs out there as well. This marble style utensil holder from J by Jasper Conran is a simple but elegant way to store your pieces. An organised hallway can be the key to making sure your morning routine goes smoothly. Making sure everyday essentials like your keys, gloves, shoes, purse and anything else have their own permanent place means never having to look for anything again. For your keys if there are a few members in the household you may want to choose something a little bigger like a tray, but if it’s just one or two of you, a bowl for your keys will do nicely. I love this bowl from Feather & Marble, its uneven shape and little feet give it some great features, making it a stylish place to keep your keys. A good, stylish shoe rack really helps to not only tidy away your shoes, but also set the tone for the rest of the home. If you’ve got the room, a lovely shoe bench will help transform your hallway, but if it’s a bit of tight squeeze a well-made rack can do wonders. 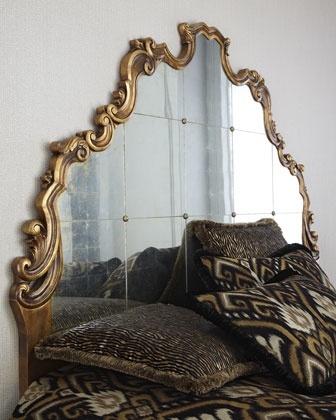 This piece from A Place for Everything has interesting angles and shapes, perfect for a contemporarily styled room. An ample set of hooks is of course the best way to make sure that you keep your coats together and organised. If you’re short on wall space, layering the hooks for coats and bags is a good way to save some room, but if you can a few rails can be a great way to create a system for your coats; perhaps one rail per person or one rail per season, whatever works for you. This antique style rail from Grace & Glory is a lovely, decorative way to store your coats. The bathroom is a space where I’m constantly searching for storage solutions and places to keep things that still remain within suitable in reach. A bath caddy is a great way to take up space in the air and not the floor; with different levels you can easily arrange your own personal system. This wooden caddy with white shelving from Futon Company is an amenable design for all kinds of bathrooms and comes in different sizes to suit your needs. I can never speak too highly of trays, they are prefect for when you want to organise things into groups but don’t want them packed away out of sight in a box. I use trays on my bedside table, in the bathroom and at my dresser to give everything a specific location. It stops your surfaces getting cluttered and products being spread out, plus the trays themselves can be a really nice feature to add to a display. You can go for any shape, size or colour to suit your needs, I like this large marble tray from HomeArama for its size and adaptable style. Keep your cleaning supplies somewhere are a little more tasteful with something like this Utility Bucket from Garden Trading. It’s easy to tuck away in a small spot behind the loo or in the cupboard to help keep up the aesthetic of the room, or if your using the same supplies for different parts of the home it’ll save you from lugging around an armful of products every time you want to clean. Practical solutions made pretty, there are all sorts of ways to give your home that extra touch of organisation and style, that’ll help you keep a tidier, beautiful home. Having spent ages trying to weigh up the pros and cons of having a real fire or a gas fire in my living room, I finally decided on a real fire and with great excitement (from me) it was fitted last week. I immediately went out and purchased the initial requirements of logs, coal, kindling and firelighters, (and thus reminding myself of some of the cons of a real fire) and tried it out (very lovely), and I am now deep into the research of potential accessories for my fireside. Who knew the endless possibilities and options available? Here are just a few that are tempting me at the moment. Other suggestions welcomely received. I could happily have any of Somerset Willow‘s beautiful products in my home, but this balloon log basket is one of my favourites. The major drawback, in my opinion, is clearing out the ash, so it’s important to have good equipment – a practical and stylish dustpan and brush from Baileys Home fits the bill. A very elegant alternative fireguard from Chesneys – decisions, decisions! 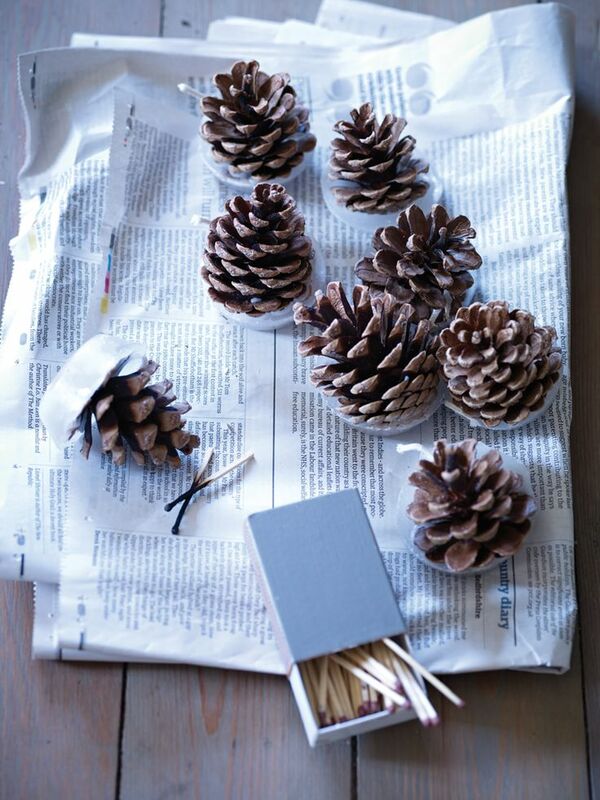 These firelighters from Cox and Cox are made from pine cones with natural wax and scented with cinnamon – I’m worried they might be just too nice to burn! A must have requirement is a great set of fireside tools – I’ve got my eye on this set from Garden Trading, although it doesn’t include a toasting fork so I may need one of these from Jim Lawrence for my crumpets!